Join us at one of our upcoming coaching camps in Birmingham or Berlin and let us help you take your game to the next level. We’re delighted to welcome Camille Serme to SquashSkills this week, as she takes us through her approach to the game technically, tactically, physically, and mentally – all of the 4 crucial components of the competitive squash player. I write to you from Leme Tênis Clube in Rio de Janeiro, Brazil, which was founded in 1914 and for many years was prominent in Rio de Janeiro for the level of its squash, as well as tennis. My 8 year old son is a beginner that loves squash. We started playing regularly a year ago. I played many years ago but I have no coaching experience whatsoever. We watched a lot of videos on YouTube but for the most part the content and production quality varies a lot and it is very time consuming to find help in specific areas of the game (i.e. specific shots, drills or speed/conditioning). We’ve looked at some of the aspects relating to the development of junior players here on SquashSkills previously with our blogs on the growth of young players and more general early stage development, and it’s a topic that we frequently receive questions on from the many coaches and parents amongst our members. I moved to Mid Wales 17 years ago and was shocked to see the lack of squash activity. Guess at that time I was a fit and enthusiastic hacker having taken up Squash at age 37. There is a certain level of complexity involved with team dynamics in any sport as there are many factors such as personalities, cultures, ages and abilities amongst the set of players. In squash, the team aspect is rather unique. Usually your team consists of 5,7 or 9 players and you set your lineup after try-outs, challenge matches or rankings. I have been very fortunate to have been involved in different aspects of squash for the last 18 years. My squash journey began as a junior player growing up in Zimbabwe, and I am now the Men’s coach at Princeton University in New Jersey. Along the way, I have been very lucky to have some wonderful experiences and meet some tremendous people, all of which has molded my coaching philosophy in one way or another. I’ve always found going short off an easy ball, even with plenty of time, a challenging aspect of my game. Attacking from the middle of the court is much easier for me as I flatten the racquet head and hit through the ball a little harder, leaving my opponent less able to get onto the ball and counter attack due to their positioning and shot type. From the back of the court, I could only ever attack by hitting the ball deep again – my highest quality option being a forehand boast. David Pearson has been a coach for 35 years. He is a father of four, 2 daughters, 2 sons. David was the longest serving Head National Coach across all sports in the United Kingdom from 1995 until 2010. 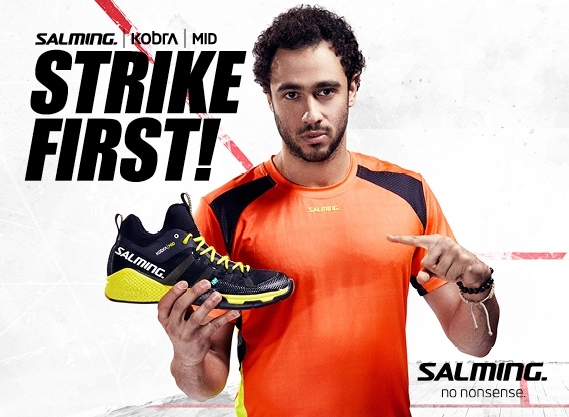 David has coached 4 world Champion Squash players; 2 women, 2 men– coincidence!? 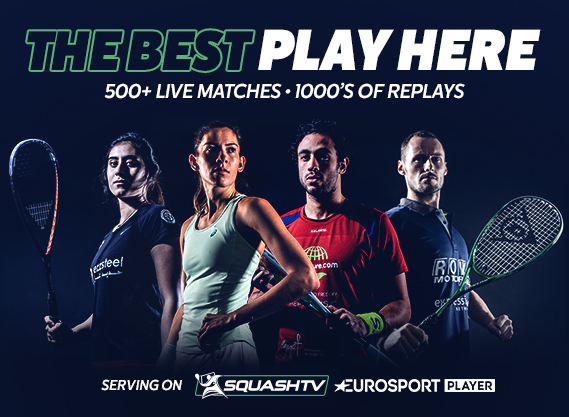 Widely acknowledged as one of the best Squash Coaches in the world, ‘DP’ as he is fondly known, continues to coach all players across the playing standard spectrum and from all corners of the globe. I’m a bit of a technique geek. I get excited by seeing a really good swing in action and sometimes get caught up with what the swing looks like as opposed to where the ball ends up. This is wrong, because if someone is hitting a target time after time despite not having the most aesthetically pleasing swing then they must doing something right. However, I am a firm believer that if you create and aesthetically pleasing swing where all the bio-mechanics are working as they should, then you will hit the ball more accurately, more consistently and with more power. Hi, my name is Priit and I’m a squash coach in MetroSquash, Estonia. Estonia is a tiny country of only 1.3 million inhabitants next to Finland, Russia and Latvia. Squash in Estonia began in 1993 when the first squash club was opened in the capital, Tallinn. Throughout the years the squash in Estonia has been slowly but steadily growing, you can now play in the capital and several other cities. Just a few months ago CourtWall built 4 new professional courts in Tere Tennis Center. Juniors crave instant gratification for success. In reality, we know it’s not always that easy. Unfortunately, for all athletes who work hard to achieve their goals, there are obstacles that must be overcome. Seeing David Pearson on the site over the past weeks has brought back so many wonderful memories of our time together. His attention to detail and level of understanding of the mechanics of the swing and movement are so all encompassing, he can spot the minutest detail that will ultimately allow you to progress as a player. I want to share my first meeting with David and some of the things I learnt from him in the first year of working with him. With the World Junior Championships underway in Eindhoven, I thought back to my two experiences playing in the same event. I certainly had two very different experiences in those events that helped form my squash character. We’re fortunate to have a tremendously diverse membership here on SquashSkills, and included in that are a large number of coaches from all across the globe. 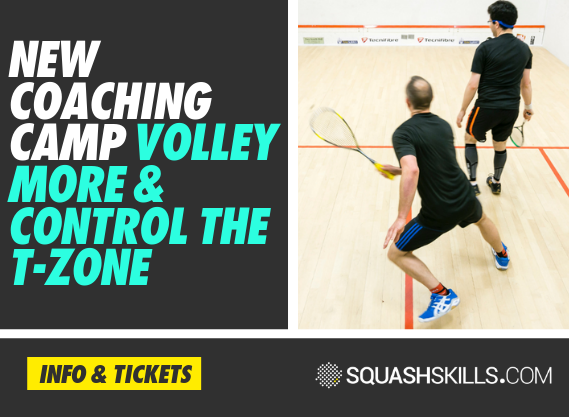 We’re often asked to feature more content specific to coaches looking for help with their skills development programmes, and in particular those that do a lot of work with junior squash players – from fun and ‘mini squash’ level, right up to regional and national level and above. It’s always great to hear of the obvious time and dedication so many of you out there are putting into the young athletes you work with, and it’s an area we hope to feature from time to time here on the site.